When President Trump did not receive funds to create a border wall–all hell broke loose. He immediately demanded a shutdown which left over 800,000 federal workers fending for themselves. Thirty-five long, dreadful days without pay only for the government to be reopened for three weeks under one condition: the Democrats and Trump come to an agreement over how to secure the southwest border. Will there even be a deal? Trump told the New York Times in an interview on Thursday that all negotiations have been “a waste of time” which basically means he will announce a national emergency in a few weeks to build his promised wall. Federal employees were struggling for money by becoming Uber drivers, finding part-time jobs, or even creating a GoFundMe. It’s ironic that the people who choose to work for our government had to work for free under our presidents irrational decision. A month without pay is a truly grieving experience. Doyle also claims he rarely slept and lost weight during the shutdown due to stress and bills. He isn’t the only one. TSA employees calling out sick, national parks and museums closed (not to mention the shameful amount of litter that has been found in these parks), and even the FDA not inspecting certain foods which leaves them at high risk of contamination are just some of the effects of the shutdown. “We have food outbreaks even during normal times, and if the agency is stretched even thinner, it can’t cover much ground,” said Michael Halpern, deputy director of the Science and Democracy Center. 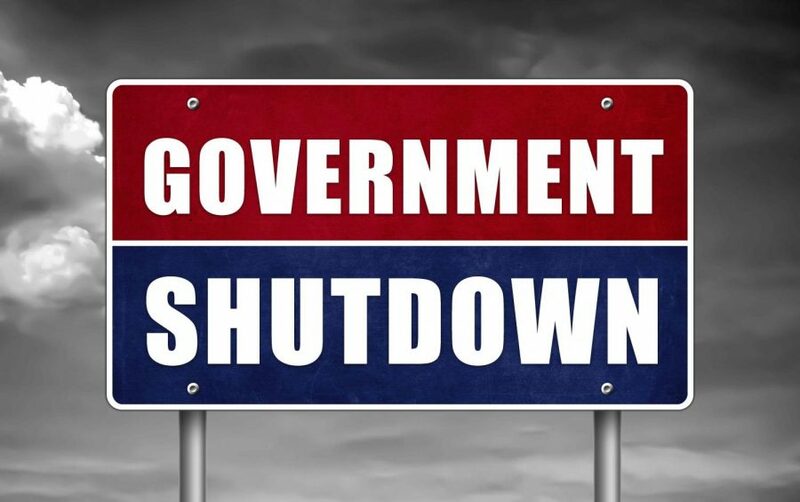 I personally believe any president should not have the authority to shut down the government. Although Barack Obama did the same in 2013 for healthcare it is clearly not helpful for anybody and just proves what extent a president will go to to get what they want. It is an unthoughtful and illogical decision to make. “The government shutdown is a slap in the face to the country and to hardworking federal employees,” said Chris Van Hollen in an interview on Jan. 8th, who is an American politician serving as the junior United States Senator from Maryland. Federal employees should never have to deal with this kind of consequence. They are people just like us who simply want to go to their job, go home, and remain financially stable to live their lives comfortably. Although President Trump claims all workers will receive their money back, which we are unsure of, the trauma these victims had to go through will only leave them worried for the next shutdown. Hopefully an agreement on border security will suffice, but as of right now it is not looking promising.